IHIF understands that a well-trained workforce is the backbone of the life sciences industry! Whether it is engaging K-12 students in STEM initiatives, supporting the development of specialized degrees and certifications to meet industry needs, or helping individuals develop their skill sets to become more valued and valuable employees, IHIF is here to help our members! The Indiana Health Industry Forum (IHIF) is pleased to announce its newest offering and member benefit – a web-based Career Center that connects job seekers with prospective life science and medical device employers. 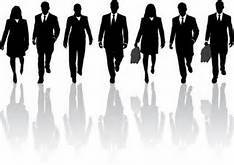 IHIF Members receive special discounts on job postings. IHIF supports Project Lead the Way – a national STEM curriculum program headquartered in Indianapolis. Currently operating in thousands of schools across the country, PLTW’s four-year biomedical engineering program is helping to produce some the industry’s leading new recruits! Project Lead The Way is a nonprofit organization that provides a transformative learning experience for K-12 students and teachers across the U.S. We create an engaging classroom environment unlike any other. PLTW empowers students to develop and apply in-demand, transportable skills by exploring real-world challenges. Through our pathways in computer science, engineering, and biomedical science, students not only learn technical skills, but also learn to solve problems, think critically and creatively, communicate, and collaborate. We also provide teachers with the training, resources, and support they need to engage students in real-world learning. 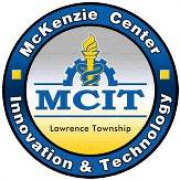 IHIF has a special bond with the students and faculty at the McKenzie Center for Innovation and Technology in Lawrence Township (near Indianapolis). A Project Lead the Way school, McKenzie biomedical students senior projects are featured each year at an IHIF meeting or program. We also look for ways to connect students with our members for internships, special projects, mentors, or other experiential events. Please contact us if you would like to get involved! IHIF is proud to work with many of the state’s leading colleges and universities! Please visit their websites to learn more about the specialized bioscience and related programs, institutes, and degrees offered at each institution! Born Out of Industry: LifeCollaborative resulted from those in health innovation (life science) industries looking for an uncommon solution to an everyday dilemma – that of equipping current, or yet to be hired, workers with the business and science acumen needed to achieve tough performance goals. And, that scientists and business professionals were better trained to collaborate with one another across silos. Learning Framework Synced with STEM: Based on research by industry leaders and STEM academic advisors (Science, Technology, Engineering and Mathematics), the curators of LifeCollaborative have created a learning framework which acts as a roadmap for the types of courses, resources and assessments featured in its library. See the learning framework. Courses as Summary Guides: Courses are summary guides on topics in leadership, communication, science basics, project management, medical device, quality, manufacturing, teams, budgeting, ethics, marketing, and so much more. The LifeCollaborative complements (rather than competes with) university degree or certificate programs, by offering a summary view for those new to the industry, or as a refresher for seasoned professionals looking to hone skills. Indiana’s life sciences sector has a $63 Billion impact on Indiana’s economy. The industry directly employs almost 58,000 people with an average wage of $99,000.